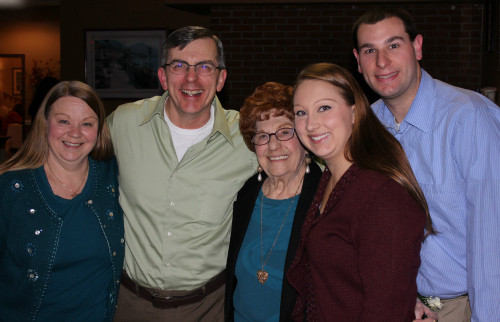 over the weekend, we took a break from stuffing our faces with thanksgiving leftovers to celebrate my great-great aunt's 98th birthday. my great-great aunt lives in florida, but she is currently up north visiting family for the holidays. 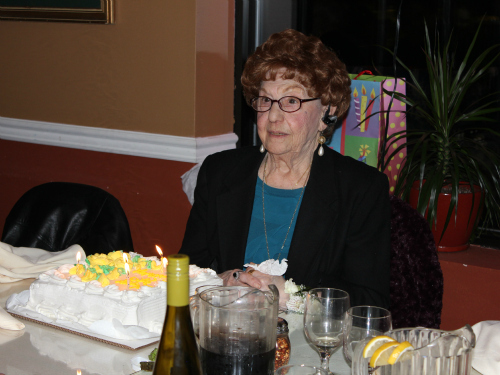 since saturday was my great-great aunt's 98th birthday, her daughter threw her a surprise birthday party. 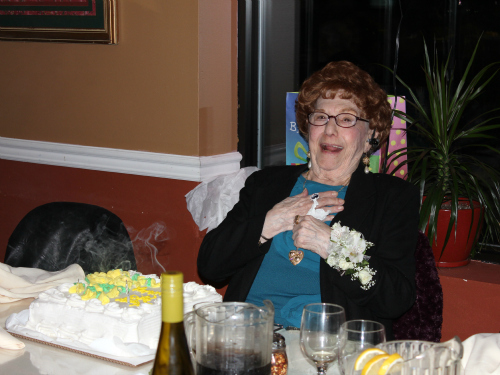 so, on saturday, we took a trip to east rutherford, new jersey with my parents for her surprise birthday party. 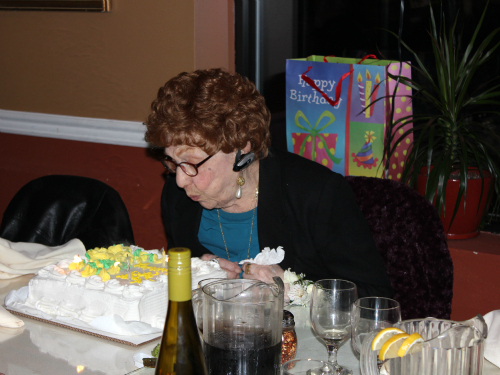 we really enjoyed seeing my great-great aunt and celebrating this milestone with her. we also met several family members who we had never met before too. Wow! She certainly does not look her age. It looks like she had a great time! God Bless Aunt Joyce, Happy Birthday and many more. She sure has the right attitude in life and she enjoys every minute of it.